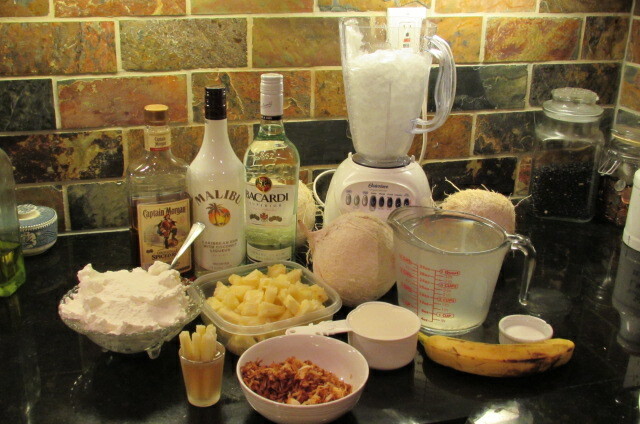 It just finally started raining here in the Bay Area, so it must be time to plan my pina colada escape. I’ve long loved the Highway 29 flea market in American Canyon, but when they have fresh young coconuts three for five dollars, good pineapple and fresh sugar cane, I especially love it! That means fresh, from scratch pina coladas to me. I hope you enjoy this pina colada escape as much as I did! And don’t forget the garnishes! Preheat oven to 400 degrees. 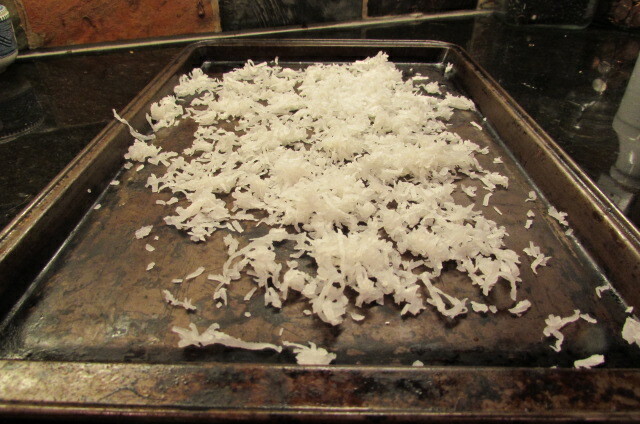 Spread shredded coconut evenly on a baking sheet. Bake in oven, stirring every 3 minutes, until coconut is evenly browned. Remove from oven and let cool completely. 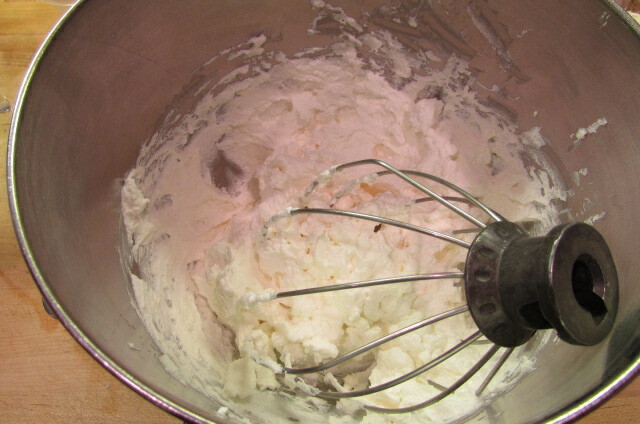 Whip together whipping cream and sugar on medium speed until whipped cream reaches desired consistency. You can also add a splash of vanilla if you like. 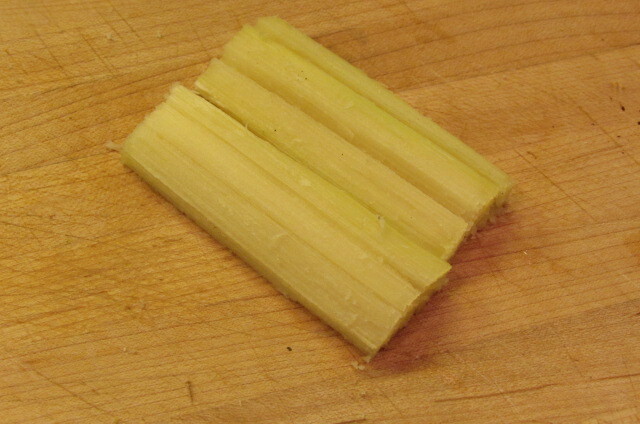 Cut rough ends off of sugar cane section, peel off the green outer skin, then cut lengthwise into sixths. 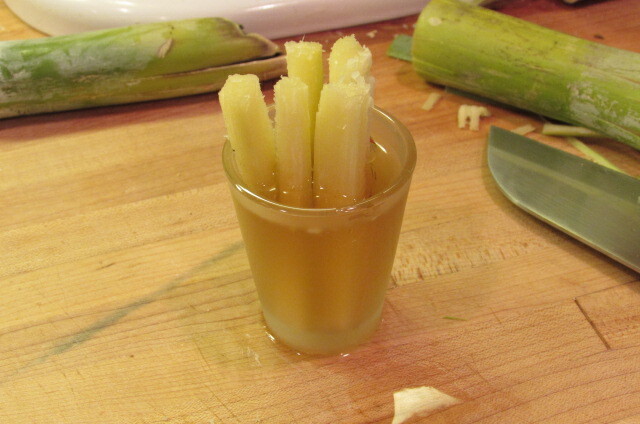 Cut lengths of sugar cane in half and soak in a shot glass filled with spiced rum. 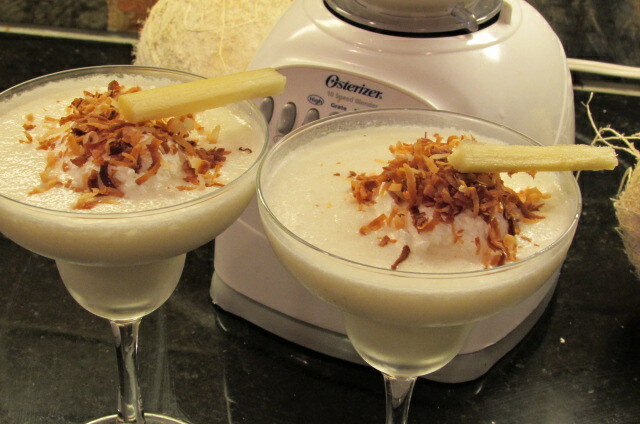 In a blender pitcher, combine ice, coconut juice, rums, coconut milk or cream, banana, sugar and pineapple. Blend until smooth, stirring if needed. 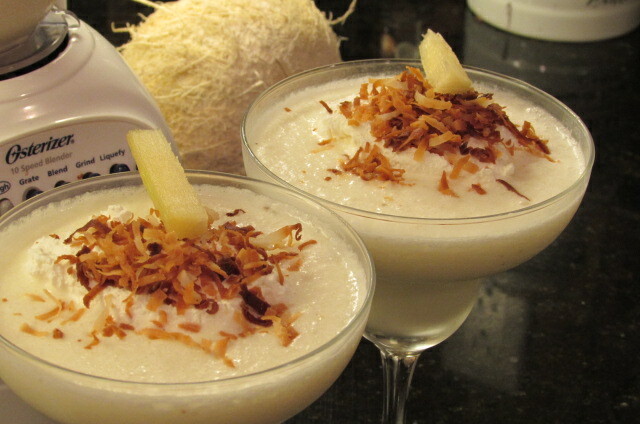 Pour pina colada in a glass, top with whipped cream and toasted coconut. 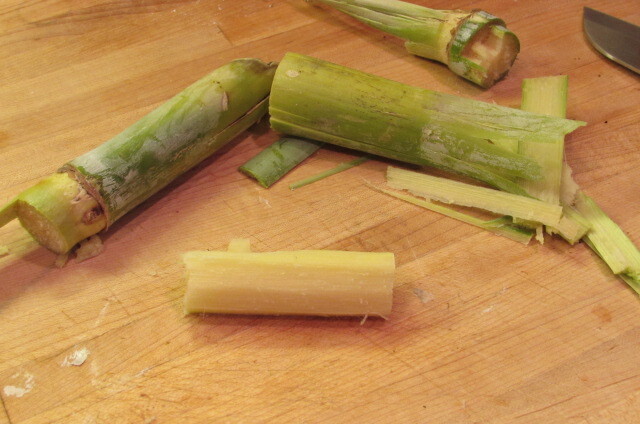 Finish glass with rum soaked sugar cane. Delish! Tags: food, frozen drink recipe, pina coladas, pina coladas from scratch, recipes, scratch pina colada, sugar cane soaked in rum, with pictures. Bookmark the permalink.